In the second installment of a two-part guest blog on weight management for Bell Institute of Health and Nutrition, I cover two areas many clients struggle with in their diets – snacking and eating breakfast daily. (In the first post, I answered questions about weight loss struggles, how to stay on track, and exercise for a busy lifestyle). Bell Institute: What are some of your favorite nutrient dense snacks to recommend to clients in place of higher calorie options? Maggie Moon, MS, RD: Firstly, nutrient-rich foods are the best bet for a healthy diet that supports a healthy weight. Secondly, they aren’t always lower in calories or healthy fats. Clients often need to be reminded that low-fat is not always the answer. When it comes to nutrient-dense, satisfying snacks for weight loss, calories are certainly a factor, but I don’t recommend restricting them to the point that it’s penny-wise and pound-foolish. 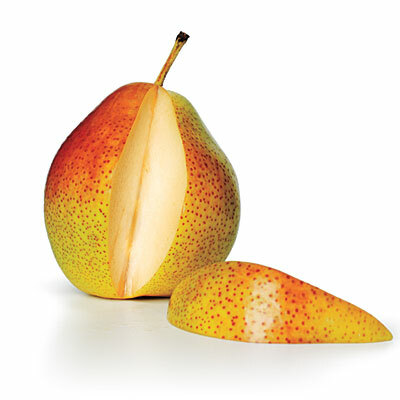 A ripe, Bartlett pear and a handful of about 30 in-shell pistachios, for about 200 calories. 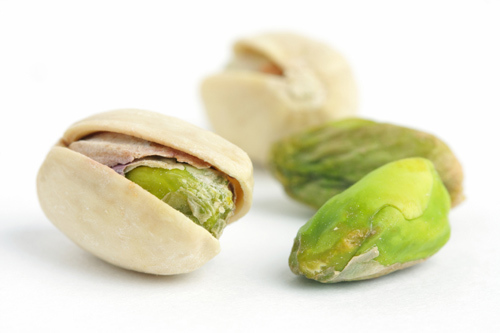 There is something positively buttery about both components of this snack, and the freshness of the fruit and savory richness of the pistachios makes the palate happy. Your clients get some fiber, protein, healthy fats, vitamins, minerals like potassium, and hydration. Slices of their favorite variety of apple, combined with a sandwich-slice of sharp cheddar cheese (80 calories), for about 200 calories. They get some fiber, protein, calcium, and more. Non-fat or low-fat yogurt topped with a whole grain cereal can also be under 200 calories. This is a convenient snack, and they get some protein, calcium, fiber, and fortified cereals provide many essential vitamins and minerals. For a big nutrient bang for the buck, I look to veggies like lettuce, kale, bell peppers, cucumbers, which are all naturally lower in calories. But I’ll combine them with some of my favorite Italian dressing, a Greek yogurt dip, or maybe shred a little bit of cheese over them for a balanced snack. Bell Institute: What are your thoughts on the importance of eating breakfast daily as part of a weight management plan? habits. The key is enjoying a nutritionally-balanced breakfast with positive nutrients for a reasonable amount of calories. I love pistachios. Like potato chips its hard to eat just one. My husband is finding it difficult to remember to eat protein with his snacks. Have him try leaving the left-over pistachio shells in sight as he snacks away. The visual cue of how much he’s eaten may help him slow down. And if that doesn’t work, at least he gets 49 pistachios per serving! That’s a lot of nuts to shell.